Mummified princesses are big news lately, so I thought it might be nice to meet a wrapped-up woman who is a little less intent on wreaking havoc on the world. Liverpool’s World Museum is celebrating its bigger and better Egyptian Gallery, which has now trebled in size. The new-look Gallery includes a Mummy Room, which includes this wonderful example. We don’t know the identity of this Roman Period woman (A.D. 1–300) as she was found lying in a coffin of a woman who died 1,000 years earlier. This mummy is unusual in that it has been prepared differently from other mummies. The limbs have been wrapped separately, and the features of the head and body were modelled with resin before the final bandages were applied. The head itself is only wrapped up to the browline, and above this the woman’s closely-cropped natural hair has been left exposed. This is extremely unusual. There are enough traces of paint left on the face to show that the eyes and mouth were painted on the outer covering. Surprisingly, this odd mummification style is the same as another mummy in the collection. We don’t know if they were related, but both were probably mummified by the same embalming workshop. During WWII Liverpool was the most heavily bombed British city outside of London, and the city’s museum wasn’t spared from the devastation. Today however, World Museum Liverpool has over 16,000 objects from ancient Egypt and Nubia, making it one of the largest collections in the U.K.
You can read more about World Museum’s amazing post-war comeback in the latest issue of Nile Magazine. 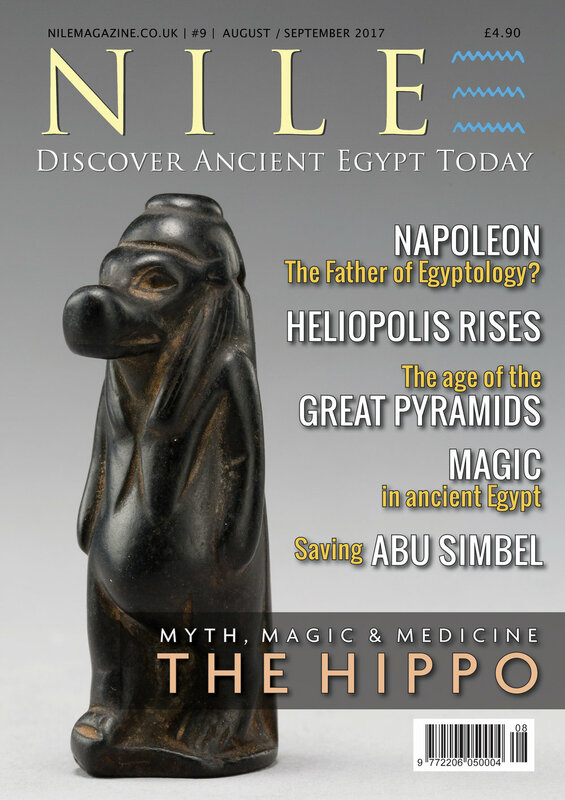 Subscribe and get Nile delivered to your door, pretty well anywhere in the world.